It's all set for Mega Star Chiranjeevi to be back on sets after long time for his 150th film which is beginning its first schedule in Hyderabad today. 150th film to be at a flyover in Hyderabad and also few scenes in the backdrop of jail set are also said to be canned. Ram Charan who is excited of this has posted " FINALLY!!! Vv.vinayak Garu and my team is all set for DaD's first day at shoot today ! 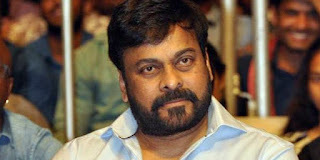 !Big day for all of us ... Keep u guys posted with first day pics"
Makers are yet to finalize lead actress opposite to Chiranjeevi in his come back film. VV Vinayak is the director of this social message entertainer. Kathilantodu is said to be title of this film and has musical scores by Devi Sri Prasad. Konidela Productions Company and Lyca Productions are jointly producing the film.